David Meade, the self-described "specialist in research and investigations," has earned a fair amount of publicity online for predicting that catastrophic events will soon befall Earth. Among his claims: On Saturday, Sept. 23, 2017, a constellation - a sign prophesied in the Book of Revelation - will reveal itself in the skies over Jerusalem, signaling the beginning of the end of the world as we know it. 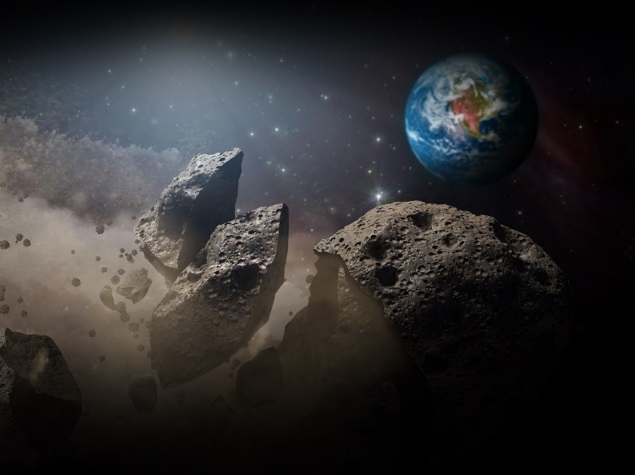 Meade believes that by the end of October, the world may enter what's called a seven-year tribulation period, a fairly widespread evangelical belief that for seven years, a series of catastrophic events will befall Earth. He also claims that a planet called Nibiru, which has been debunked by NASA as a hoax, is headed toward Earth. When it passes Earth later this year, Meade claims, catastrophe in the form of earthquakes, volcanic eruptions and tidal waves, would ensue. All of this is "the story of the century," Meade said on his website, but he argues that it's distorted and misrepresented by the mainstream media. He said some publications have exaggerated his words and falsely reported that he believes the world will end this weekend. When asked where he lives, he only said that he's in "the heart of a major disaster zone" after Hurricane Irma. When asked where he went to college, he only said that he studied astronomy at a university in Kentucky and declined to say which campus, citing safety concerns. His website says he worked in forensic investigations and spent the past 10 years "writing special reports for management" for Fortune 1000 companies, but he ignored questions about which companies those were. A short biography on a website called Planet X News says he studied "astronomy, among other subjects" at the University of Louisville. (The university said it cannot verify whether a person was a student there.) The website also says Meade enjoys "relating science and the Bible," and he believes that Nibiru, which he also calls Planet X, is a "perfect marriage of the two." "I was raised Catholic and all Catholics believe the Bible," Meade wrote on his website. He's also critical of the young generation, which he said has been "dumbed down by TV, commercials, sports and so forth." "What amazes me is that this new generation does not engage in critical thinking . . . They don't read. They don't understand anything," he wrote. "Very sad, really." Amazon lists 13 books under Meade's name, all of which were self-published through ebookit.com and are fewer than 200 pages. The most recent one, "Planet X: The 2017 Arrival," boasts of "absolutely amazing revelations," a "page-turner" that purports to examine proof of Nibiru's existence. In his book, "The Coup D'etat Against President Donald J. Trump," Meade asserts that a shadow government is trying to overthrow Trump and purports to expose "high-stakes collaboration fifth-columnists, orchestrated by the controlled media and globalists such as billionaire George Soros. He also claims to have covert information on the "Deep State, and on who funds "clandestine operations" against Trump, whom Meade described as someone who "knows everything." In another book, "The Coming: Clinton Economic Collapse," which was published before the presidential election, Meade warned of a war and economic collapse under Hillary Clinton. NASA senior space scientists David Morrison has long debunked the claim that a planet called Nibiru is on track toward Earth. In a sharply worded video in which he urged people to "get over it," Morrison gave simple explanations. For one, astronomers would have already seen Nibiru by now, he said, and if it does exist, we'd be looking at an entirely different solar system because its gravity alone would destabilize the orbits of planets in the inner solar system. "Instead, in the inner solar system, we see planets with stable orbits," Morrison said. "We see the moon going around the Earth." Meade has been referred to as a "Christian numerologist" by some media articles. Ed Stetzer, a professor and executive director of Wheaton College's Billy Graham Center for Evangelism, said there's no such thing. "I have four graduate degrees in these areas," Stetzer said. "Never have I heard of this expression." Meade said he never called himself a "Christian numerologist." He also railed against critics, saying in an email to The Washington Post that the "mainstream church" is "so dumbed down that they lost their ability to engage in critical thinking decades ago." "That will give you all of the profile information you need to study and report on this - probably the greatest story of the century in my opinion," he told the reporter. That's according to Robert Joustra, an international studies professor at Redeemer University in Ontario, Canada, who had written a book about apocalyptic narratives. "We were taught the Book of Revelation is true. The Popes believe it is true. Protestants know it is true - it is taught in Sunday school. This is not 'new information.' Actually it's Bible 101. Even Hollywood knows what is to come. They have produced a dozen end of days movies, such as 2012. This is not 'new news.' To anyone who thinks it is, my question is: 'How long have you lived on this planet?' "
"A visionary who channels aliens popularized the Nibiru concept back in the 1990s, and the actual name "Nibiru" was plucked from the writings of the late Zecharia Sitchin (he used to mail me letters occasionally), who discerned evidence for such a planet in ancient Sumerian writings." What this all says is that those who engage in apocalyptic predictions don't just make things up out of nothing. They rely on mainstream information, like the Book of Revelation, Joustra said. But many, like so-called numerologists, find obscure references in the Bible to make predictions about the future. Joustra said he personally does not place much value in apocalyptic predictions, but he understands the impulse of many to delve into them. Predictions of the apocalypse aren't just about the end of the world. To many, they're about making sense of the world. "It's supposed to be about the pulling back of the curtain, kind of revelation of the true thing," Joustra said. "It's a deeply religious kind of thing, and it has a long ancient pedigree. . . . It's a search for a new meaning. . . . It's not novel to Christianity, it's not novel to the United States of America. There's a very long history to this kind of thing."